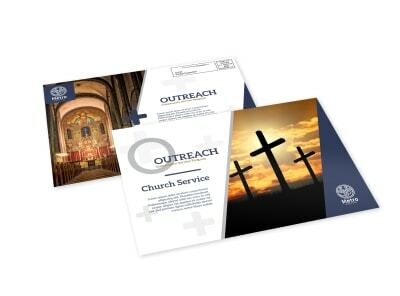 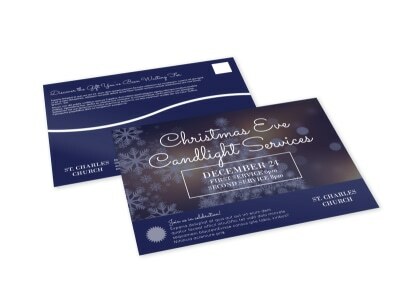 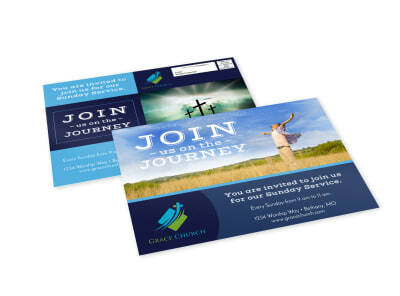 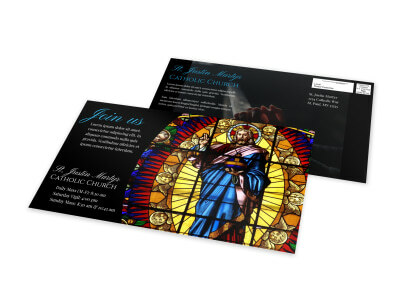 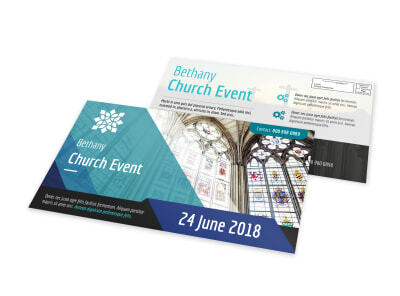 Expand your church's reach with postcards you make yourself using our religion & organizations EDDM postcards templates. 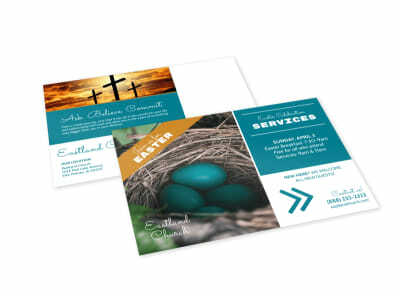 The process is simple and fun; choose your template, add photos of activities at your church, text detailing worship times and youth group or ladies' auxiliary details, and the 411 on upcoming church events. 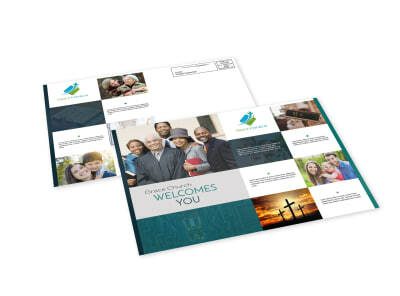 Add a custom welcome message to invite your recipient to check you out, and then print your postcards yourself for a targeted USPS Every Door Direct Mail campaign. 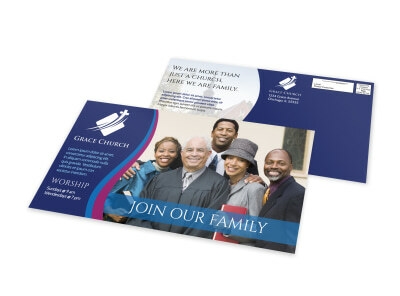 Get busy growing your church family today!